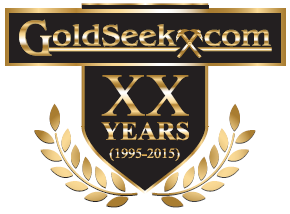 There is good reason to believe that newly mined supplies of gold and silver will decline in 2016 and beyond. The main culprit is low prices. In 2015, gold and silver prices spent most of the year trading below miners' all-in production costs (which average $17/oz for silver and $1,150/oz for gold). It's important to keep in mind that the majority of silver that is mined comes as a byproduct of mining operations for other metals. Fully 55% of all silver produced comes from copper, lead, and zinc mining. Another 13% comes as a byproduct of gold mining. ...annual [supply] deficits can begin to apply upward pressure to prices. Some economists worry about the possibility of recession in the months ahead. Any slump will weigh on demand for items such as jewelry and other goods. However, a lot of industrial demand comes from high-growth sectors which have proven resilient during past recessions. Electronic, solar, and healthcare-related applications for silver come to mind. 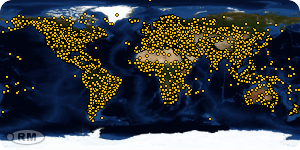 It's true that industrial applications remain the biggest single component of silver demand. But unlike with zinc, nickel, iron, and other industrial metals, silver is also sought after by investors as a precious metal and a form of money. Demand for silver coins, rounds, and bars has grown steadily in recent years, accounting for 19.5% of the total silver market in 2015, according to the Silver Institute. 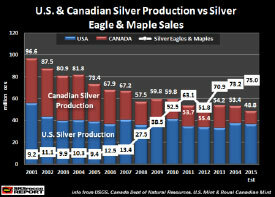 He notes that �in 2001 U.S. and Canadian silver production totaled 96.6 million oz (Moz)... That year, Silver Eagle and Maple Leaf sales totaled 9.2 Moz.� A net surplus of 87.4 million ounces. It's indicative of a broader trend. According to a 2016 forecast for precious metals markets issued by Commerzbank, �rising physical demand will meet with falling supply.� That is surely a formula for higher prices � eventually. In the long-term, physical supply and demand is everything. But in the short-term to intermediate-term, the fundamentals are almost meaningless. Big institutional futures markets traders can move markets in any direction for any reason... until, at some point, they no longer can. Holders of physical metal would be wise to hang on tight to it and keep a long-term perspective. At some point � perhaps soon � the major price trend will turn back in favor of the bulls as the bullish supply and demand fundamentals on the physical side overwhelm the paper bears.